Placing a speaker and a your head over the same surface (which happens in every desktop setup) has a predictable and adverse side effect. The desktop reflection arrives at your ears about .75 ms after the direct audio signal you want to hear; creating a comb filter effect. This very short delay between the direct audio and arrival of the reflected desktop audio causes the brain to "filter" the entire signal. This is the comb filter effect which decimates female vocals and virtually the entire midrange frequency spectrum from; 2kHz to around 8kHz! Shadocaster is a deceptively simple “shelf” under each of the desktop drivers, which simply deflects the would-be desktop reflection, and sends it elsewhere. The reflection comes back to the user much later and at a much lower level. 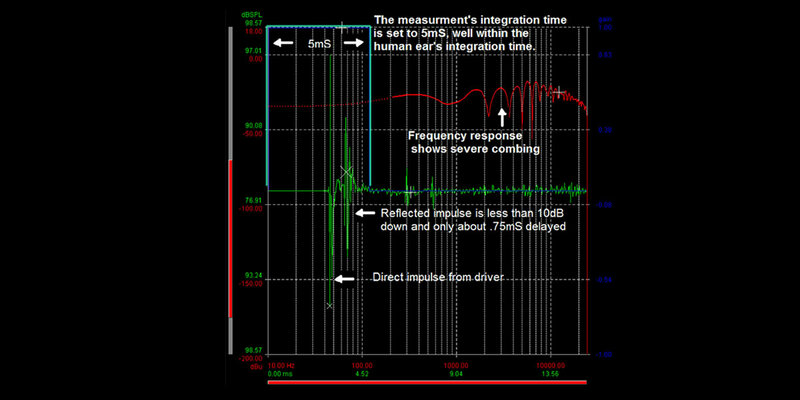 As a result the human brain, with an event integration time of approximately 7 ms to 10 ms, does NOT associate it with the direct audio. By implementing Shadocaster with a desktop audio workstation the perception of comb filtering is completely eliminated. 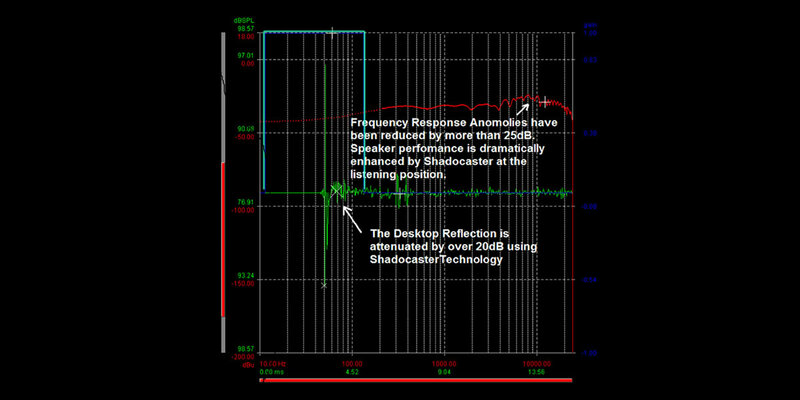 Frequency response anomalies are typically reduced by more than 25 dB and speaker performance is dramatically enhanced by Shadocaster at the listening position and the desktop reflection is attenuated by over 20 dB. Until now, the only way you could create a controlled acoustic environment for sound production was to buy expensive time at a high-end studio or build a studio yourself. Neither of those scenarios is financially practical, so you’re stuck at your desk and you try to deal with near-field reflections that bounce off the desk in front of your monitors, creating a nasty comb filter distortion effect. 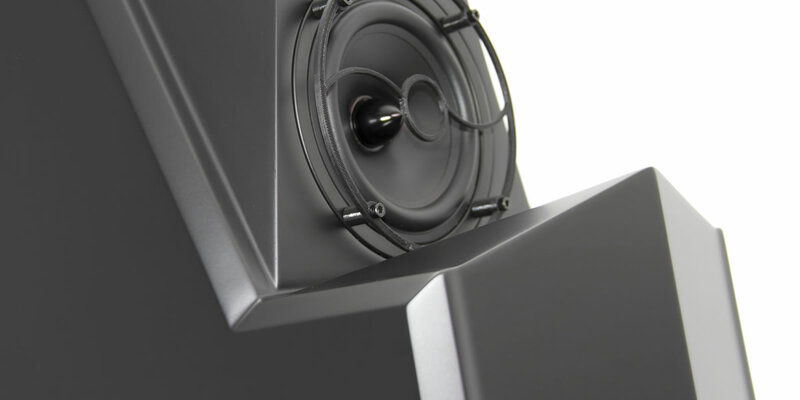 Those reflections compete with direct sound from the speaker, and that means you can’t know for sure how the final result will sound when it’s played back on someone else’s system. Before Phasx, no one ever tried to put a single person; you, in front of a single pair of speakers in an ordinary non-control room environment and eliminate near-field reflections that muddy the sound. That’s why we developed Shadocaster technology. Plug a single USB cable into your laptop or desktop computer, then fire up your favorite mastering audio workstation software and you have a complete Phasx 24 bit/ 192 kHz monitoring and mastering solution. You'll experience the same ultra-low distortion, low jitter and high-resolution controlled acoustic environment you’d find in a high-end studio, but you only have to buy it once and it’s yours to use every day, forever. If you’re a working DJ, you can create a mix for this evening’s performance in your office without having to try to listen through near-field desktop reflections which distort the clarity of direct arrival sounds from the monitors. With Shadocaster technology you won’t be unpleasantly surprised when your sounds go public in a club or other performance space and you can mix your bass accurately below 30 Hz all day long! If you’re a singer song writer or a working band, you can be certain that the tracks you’re sending to Time Warner for placement for example will sound the way you intended AND the way they should because you’ve mastered them on a Shadocaster system. If you work in the field or on location away from a studio, you can confidently check the mix’s sound quality in any location and know for certain it sounds to the way you want it before packing up for the day. It doesn’t matter who you are, if you’re producing music you can mix your music to many of today’s common playback devices with our exclusive MultiSim™ technology to model everything from smart phones to a the happening discotheque downtown. Audio and video producers can now work from the comfort of their own desks and even in traditionally problematic locations in the field with studio-grade, reflection free results. 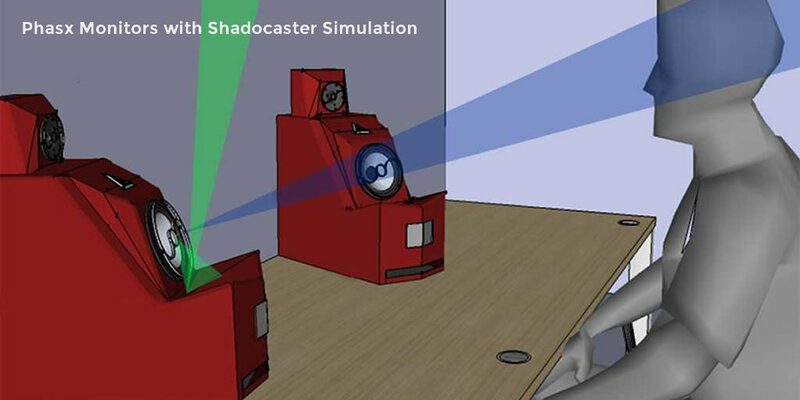 Shadocaster technology eliminates the biggest acoustic problem you face when you mix audio at home, the office, or worse in the field. 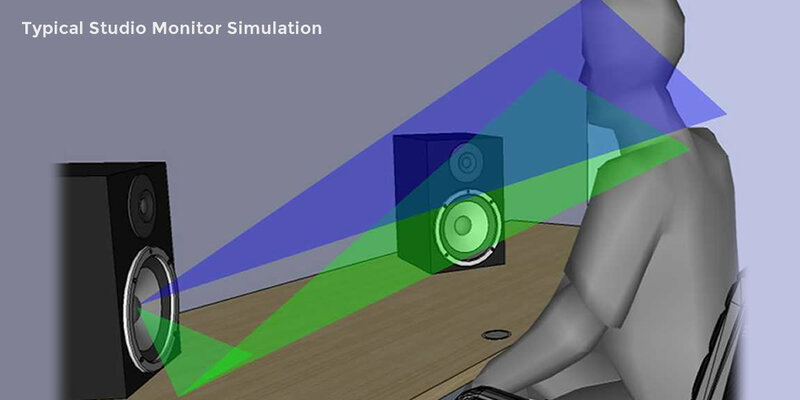 Now your brain hears exactly what you recorded or mixed and nothing more. 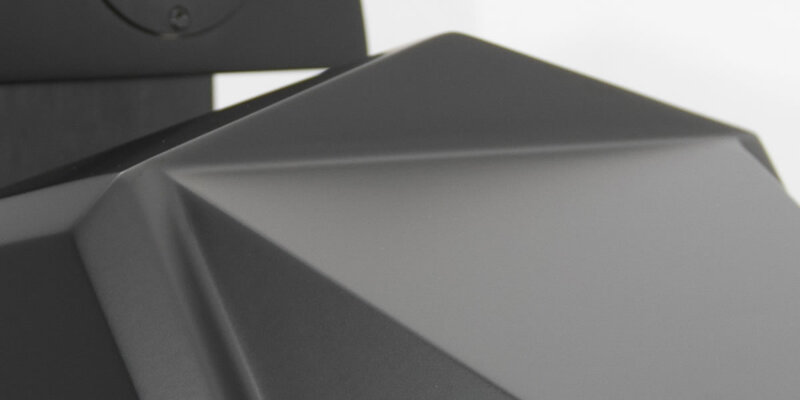 We’ve eliminated all the near-field reflections so your brain can interpret the sound in the same way it can on high end gear in a sophisticated acoustically treated control room.